Join Brandon in the culmination of his two years of study at NYU Steinhardt on Saturday, May 16 at 4:30 PM in the NYU Black Box Theatre. His Recital will include repertoire ranging from Schumann to Jason Robert Brown. You won't want to miss this special performance! For more information click here. 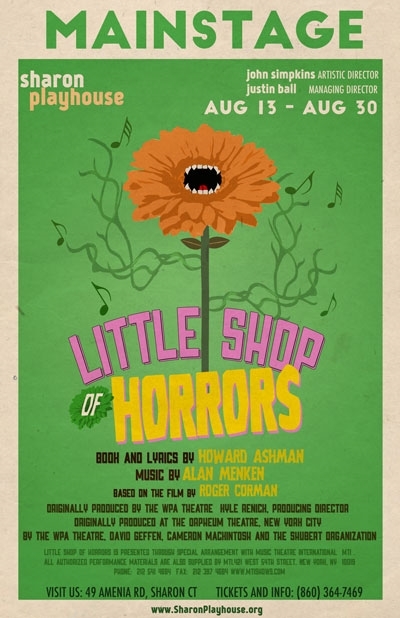 Brandon is excited to head to the Sharon Playhouse this summer, where he will play the role of "Audrey II" in their production of Little Shop of Horrors! Click the picture below for more information.